The Classes tab screen provides details for all current and future enrollments for all students within the family as well as the 10 most recent past enrollments. For details on older past enrollments see the Student record or use the Enrollment Detail Report. 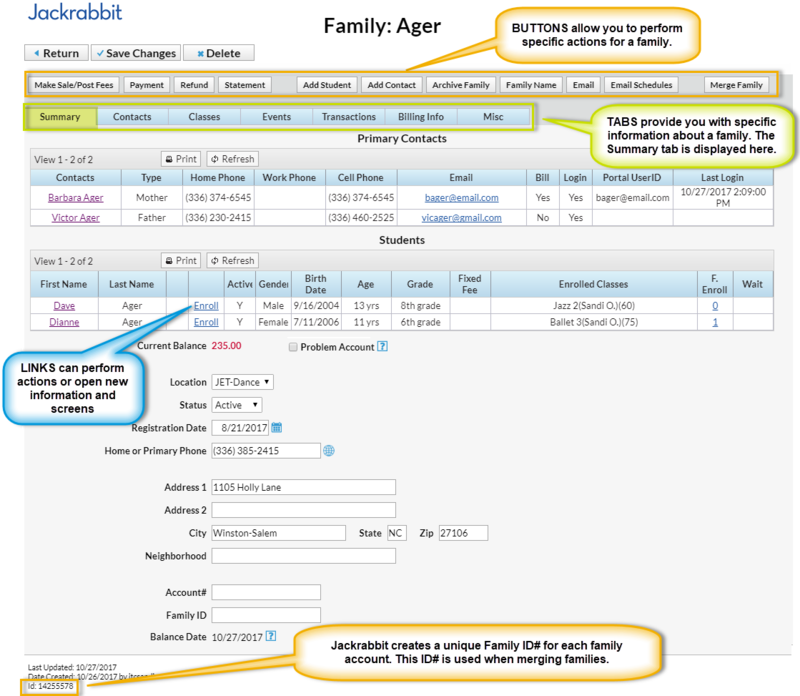 The Misc tab offers any other recordable family information. Click the View Registrations button to view any customer portal, web registration, or quick registration details for a family. Only registrations with an email address are maintained in this area. Click View Sent Emails to see the email history for the last 180 days.